BEIRUT -- Tens of thousands of Syrians stranded in a desert camp near the Jordanian border are at risk of starvation amid dwindling supplies and the approach of winter, while regional powers trade blame over who is responsible for this latest humanitarian catastrophe in Syria's civil war. Desperately needed aid deliveries to the besieged Rukban camp have repeatedly failed or been postponed, including a U.N. convoy which was supposed to go in on Thursday but has now been indefinitely delayed. Sand storms and heavy rains in recent weeks have left Rukban's tattered tents and clay houses in even worse shape. Imad Ghali, a camp resident, said this isn't the first time Rukban has been promised aid and not received it. "It's like telling someone dying of thirst to wait for the rain," said Ghali. "How long are we going to wait?" The last aid delivery from Jordan was in January, leaving the camp's residents dependent on goods largely smuggled from government-held areas. 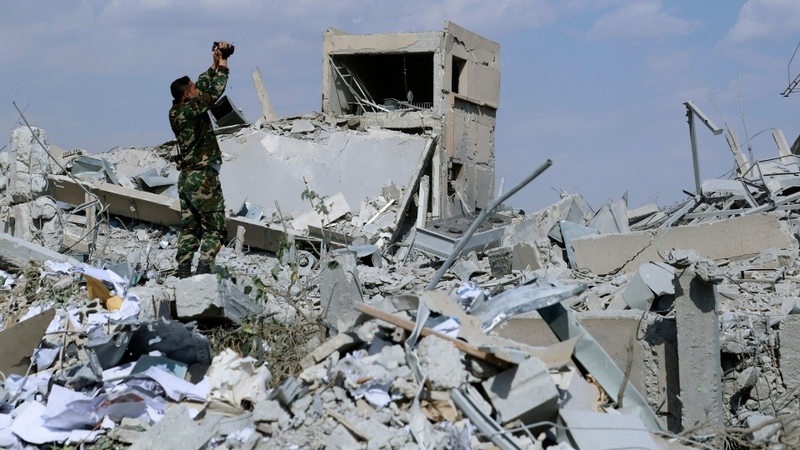 The situation sharply deteriorated after the Syrian government blocked supply routes last month following a botched reconciliation deal with rebel groups in the area, according to the Britain-based Syrian Observatory for Human Rights. Russia, a close ally of the Syrian government, has blamed the U.S. for the deterioration of the situation in Rukban, which is within a 55 square kilometre (20 sq. mile) "deconfliction zone" set up by U.S. forces in the nearby Tanf military base. "The inability of the US side to live up to its commitment to provide security in the 55-kilometre area around its base in Tanf stopped the convoy from going," Lt. Gen. Vladimir Savchenko said last week, adding that the area around Tanf has "a large number of armed and uncontrolled militants who can stage any manner of provocation" and endanger aid workers. "Any talk of the coalition holding up the process is simply misinformation and others deflecting off themselves," U.S. military spokesman Col. Sean Ryan said in an email. On Saturday, the White House envoy to the coalition, Brett McGurk, said the Syrian government and Russia are using Rukban as an excuse to question the U.S. presence in the area. "The question is for the regime and Russians. Do they really want to help these people or use them as something to come after us?" he asked, after stressing the U.S. was going to stay in the Tanf base. He spoke at a security conference in Bahrain last week. "Rukban is Syrian people on Syrian territory, so it is the responsibility of the Syrian government and the U.N. and the international community," Jordanian Foreign Minister Ayman Safadi said on Saturday. "We are not going to own Rukban." "The camp's location has pushed the warring sides to use it as a way to pressure each other, while simultaneously neglecting the camp," said Rami Abdulrahman, who heads the Observatory. Conditions will only worsen as the winter approaches, the U.N. children's agency warned earlier this month. The Syrian government authorized the U.N. to deliver aid to Rukban two weeks ago, which would have been the first U.N. delivery to the camp made through Syria. However, the joint U.N. and Syrian Arab Red Crescent convoy did not arrive Thursday as promised, and has been indefinitely delayed. The U.N. humanitarian co-ordinator in Syria, Ali Al-Za'tari, said the aid was delayed "based on available information of a real security threat against the convoy." In a statement Tuesday, he said discussions were ongoing to find a way to deliver the assistance while ensuring the safety of humanitarian workers. 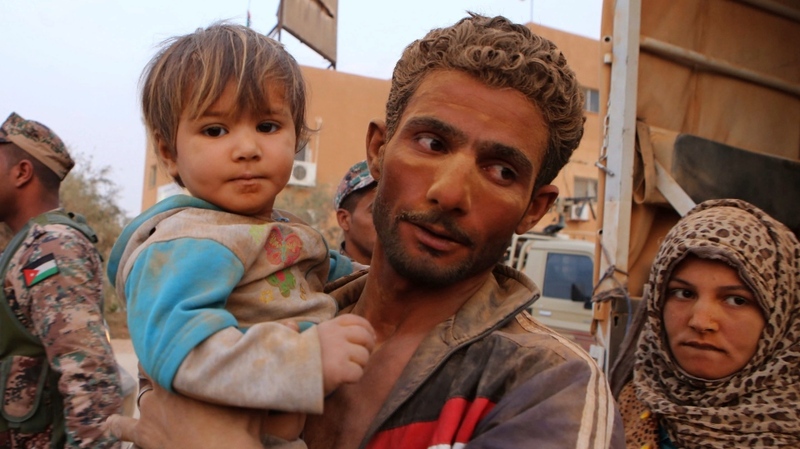 Meanwhile, the camp's residents are running out of food and medicine, the majority surviving off one small meal a day, said Abdul-Fattah al-Khaled, the director of a school in Rukban. Local merchants have hiked up the cost of supplies. Rukban's residents staged a five-day sit-in earlier this month after a series of deaths in September due to malnutrition and lack of medical care. Among the dead were a 5-day-old boy and a 4-month-old girl. A handful of nurses run a few poorly equipped clinics in the camp, al-Khaled said, and a medical centre supported by the U.N. children's agency across the border takes urgent, life-threatening cases. Earlier this month, a young woman died from anemia and chronic acute diarrhea. Rukban's bare-bones medical centre was unable to treat Bassma Zaarour, and asked for her to be sent to a Jordanian hospital, but she died almost immediately after her appointment. Jordan is in talks with Russia to find a permanent solution through voluntary returns and reconciliation agreements. 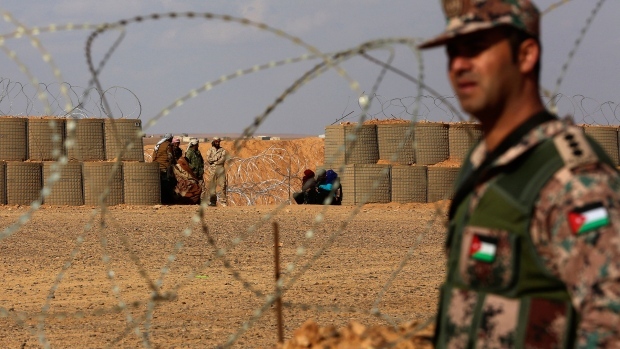 Rukban is "a desert and no community can be sustained there," said Safadi, the Jordanian foreign minister. "Russia, Jordan and the U.S. are in agreement that we need to de-establish Rukban for people to go back, and we're working on that." The camp's residents are exhausted, al-Khaled said, but fear leaving without safe passage, either to government-held areas or parts of the north controlled by Turkish-backed rebels.